The literacy program that I created for the City of Long Beach’s Afterschool WRAP programs. Here is a news article in the Long Beach Press Telegram about our recent art show. LONG BEACH >> When they began the school year, Edison Elementary School students were largely unfamiliar with the Japanese art of paper folding known as origami. But art integration specialist Lesley Glenn sought to change that. After sharing with students the book “Sadako and the Thousand Paper Cranes”, in which origami plays a key role, Glenn challenged children in grades three to five to make 1,000 paper cranes over a six-week period. In the end, they more than doubled that figure, and their efforts were featured in a 14-foot crane installation during the Nov. 21 art show at the Central Long Beach school. Glenn said the students were inspired by the true story of Sadako, a Japanese girl who developed cancer after the United States dropped the atomic bomb on Hiroshima. Someone told Sadako that if she could make 1,000 paper cranes, any wish she had would come true. But she could only manage to fold 644 cranes before her death. The rest were completed after her death, and today Sadako has become an international symbol of peace. As an art integration specialist, Glenn has the task of using art as a means to teach children about a range of subjects, such as literature, math or science. She said the crane exhibit demonstrates how after-school programs help enrich the learning environment for students in economically disadvantaged areas of Long Beach. Most of the children at Edison qualify for free and reduced lunch. The City of Long Beach Parks, Recreation and Marine partners with the Long Beach Unified School District to implement a citywide WRAP after-school program, according to Kevin K. Paimany, community services supervisor for Long Beach Parks, Recreation and Marine. “Through these programs, thousands of local students and their families have access to convenient, no-cost, high-quality after-school programs on their school campuses every day,” he said. 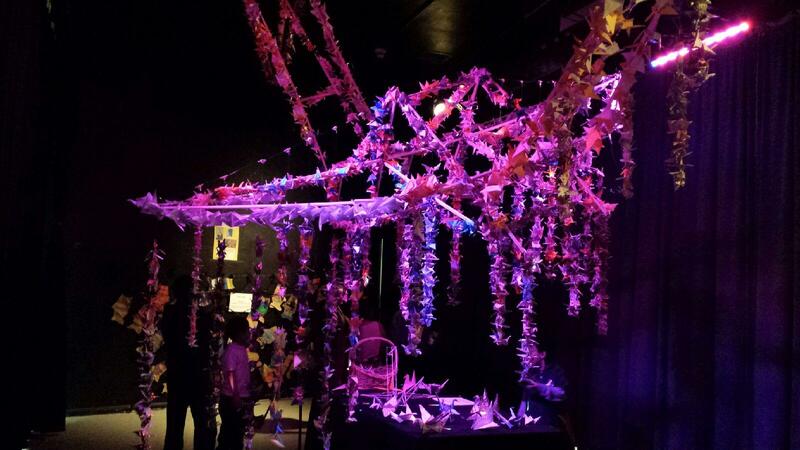 Exhibiting the 2,300 cranes the Edison children built required the building of a 14-foot wooden crane. 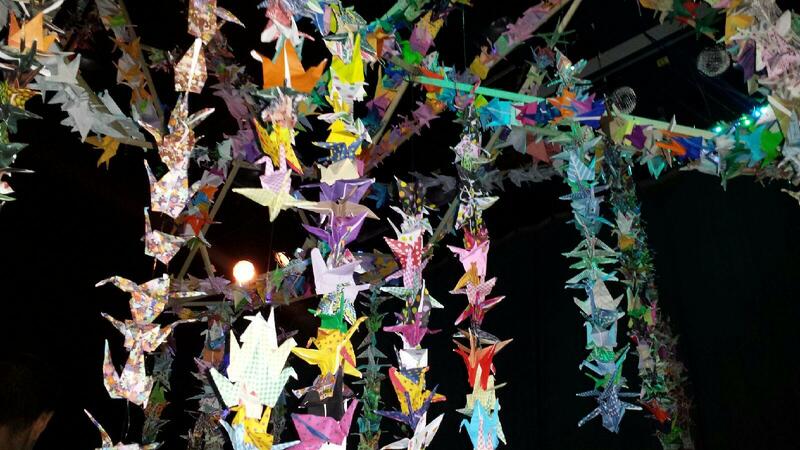 Students used homework paper, newspaper, construction paper, gum wrappers and candy wrappers to continue folding cranes, Glenn said. For more information, visit http://www.lbschools.net/Services/EACCR/WRAP/. Will do Coleen. Thank you for visiting.